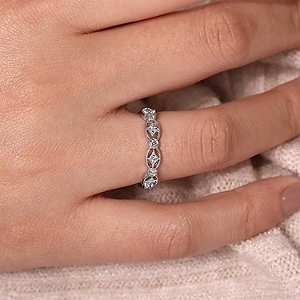 You'll enjoy looking at this ring almost as much as you'll enjoy having it on your finger! 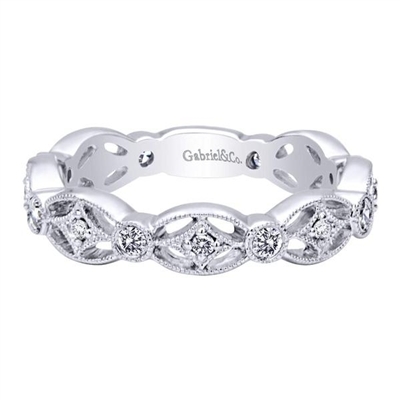 With over one quarter carats in round brilliant diamonds and a sophisticated and stylish design, you'll be the talk of the town! 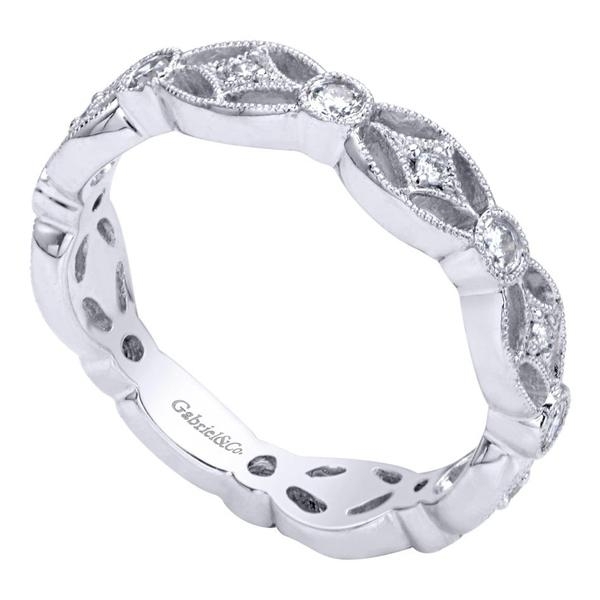 This artistic and well designed Gabriel & Co. diamond stackable ring has enough flair to keep everyone interested, and enough modesty that makes everyone look twice. 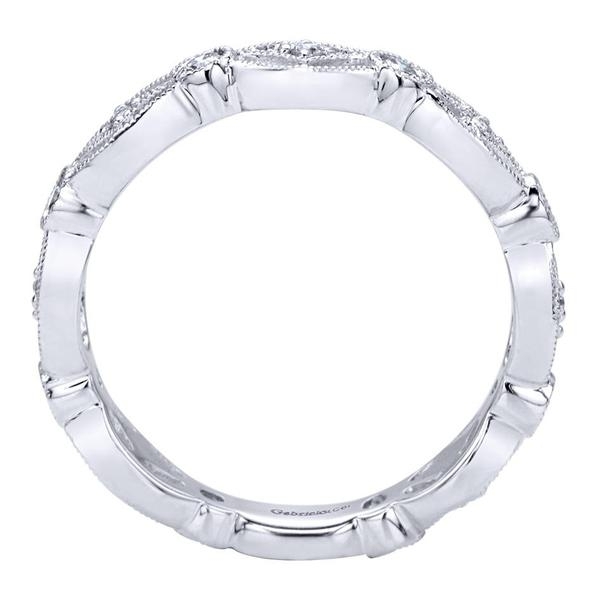 Enjoy this inspired stackable ring in 14k white gold.